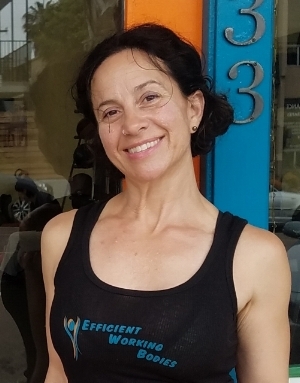 Nicole Grevelis, owner of Efficient Working Bodies, offers a unique approach to her functional training, full-body workout sessions. Her precise, high-energy exercise programming, and attention to each participant's form and technique keep her clients coming back for more. Timed intervals and core-activating exercises encourage you to listen to your body, and know when to give your all or pull back. These tools make every training session your best training session! Certified through NASM (National Academy of Sports Medicine) as a Personal Trainer & Corrective Exercise Specialist, Jonathan’s mission is to help bring your body back to balance. This is done by prioritizing posture first and guiding you through pain-free movement. Johnathan's classes are perfect for those suffering from chronic, daily issues such low-back pain, tension headaches, plantar fasciitis, knee and shoulder pain, shoulder impingement, and more. Discover proper movement mechanics and the use of natural movement patterns, for any and all goals: weight-loss, muscle-growth, endurance, gait and running mechanics, posture, strength and power. Katie is an ACE certified personal trainer and group fitness instructor who believes the best way to foster a healthy family is to be a healthy individual. She enjoys helping clients reach goals and become their healthiest selves through nutritional guidance, exercise and a realistic approach to each individual’s lifestyle. As a mom of two, she appreciates how important energy is, as well as how short we all are on precious time. As a Navy wife, she enjoys how her career allows her to get to impact the community in a positive way while making friends, wherever her family is called to serve. She has worked with all ages and levels, as well as special circumstances, such as pregnancy and post-surgery/rehabilitation clients. Katie can help you kick your fitness routine into high gear, realize your potential as an athlete, learn to master healthy behaviors for life, and simply feel better. Having grown up in Alaska, Aarion’s entrance into fitness began with the great outdoors. Running, mountain biking, hiking, and climbing soon evolved into his love for basketball and boxing. Later in life, he served in the United States Navy, where he picked up an interest in strength training and proper nutrition. After serving, Aarion attended San Diego’s National Personal Training Institute. His passion is to help more people move right and meet their goals in a science-focused manner. Fitness is my number one passion and I want to share that passion with you. I am from an athletic family and have played many sports growing up: soccer, tennis, wrestling, snowboarding and track just to name a few. I started body building my senior year of high school, inspired by my mom, who liked to copy Miss Olympia work outs. I went on to play college soccer and tennis but when those came to an end I fell back in love with the weights. My specialty has become body contouring with muscular strength and hypertrophy. I love working with people one on one, as well as small group settings. 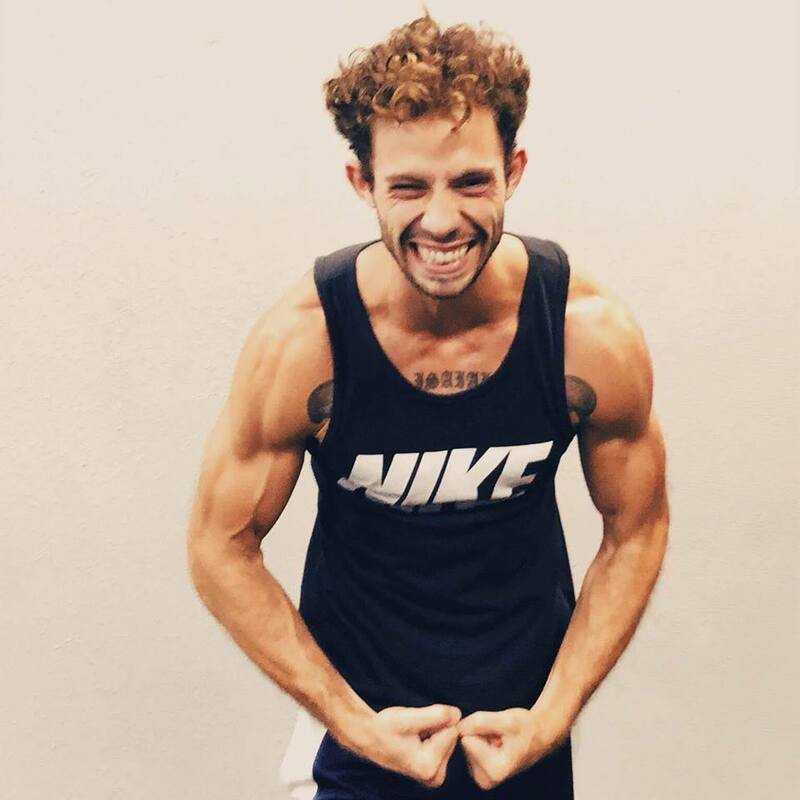 In my career as a trainer I have learned muscle recovery through massage technique and am continuing my education in corrective exercises to fix muscle imbalances and pain caused by our everyday life. I am here to aid in you becoming the best version of you! I look forward to continuing to grow with #teamEWB as well as guiding you through your fitness journey! Pat is also a certified Exercise Coach and Holistic Lifestyle Coach through the C.H.E.K. Institute. Patrick draws upon years of athletic strength training and conditioning and flexibility training and enhances it with a holistic approach that includes nutrition and rest. Patrick believes that an exercise program should balance one’s autonomic nervous system, not overwhelm it. He assesses a client’s physiological load and functional imbalances in the core and back musculature, and writes an exercise program that will lead to results. Clients include individuals of all ages and fitness levels seeking weight-loss or strength and flexibility through proper movement combined with improved nutrition and lifestyle practices. 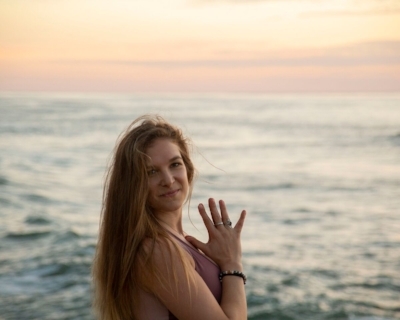 After moving back to San Diego from Los Angeles, Rachel picked up a management position at a yoga studio and realized that yoga was the addition to her life that she needed. Since then she has completed not one but two 200-hr teacher trainings. Rebecca began taking yoga classes in college and her first teacher was her mom! Her initial draw was the relaxation that came from savasana and meditation. Her goal is to hold space for her students so that they have a safe space to look forward to every week. A space free of judgment, comparison and expectation where they can express themselves and move their body on their mat.